3 Which Will You Try? Do you see your shower drain filling up with hair? There’s no cause for alarm just yet. After all, most people normally shed around a 100 hairs a day as part of the life cycle of their hair. However, you might notice that the drain is filling up faster than it used to. You’re starting to suspect that you’re one of the 35 million men or 25 million women who experience hair loss. Don’t throw your hands up in defeat and simply accept your fate. 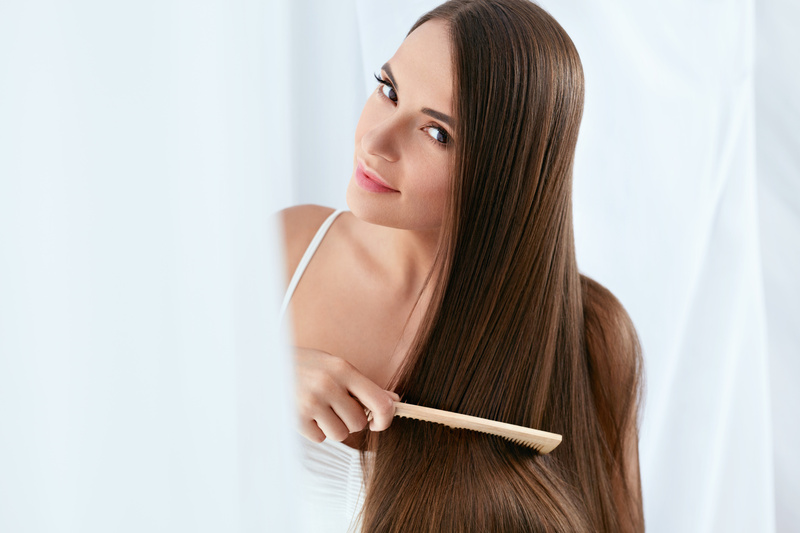 There are plenty of ways that you can stimulate your scalp to grow healthy hair. To figure out the best method you should try, you should first try to determine what is causing your hair loss. Though there are a number of things that can cause hair loss, the most common by far is heredity. Some people just have it written in their genes. Hormonal changes can also cause hair loss. A common example is during pregnancy hormonal changes often cause the hair to grow thicker. After the baby is born there is often a corresponding period of hair loss. Some medications bring hair loss as an unfortunate side effect. Plus, some diseases or medical conditions can cause your hair to fall out. An unusually stressful event or even depression can also cause you to lose some hair. Click here for more about how depression affects hair loss. Talk to your doctor if you’re having trouble figuring out what is causing your hair loss. Now let’s look at what you can do about it. Many people simply accept that losing their hair is part of the aging process. This may be especially true for those whose hair loss is hereditary. They’ve watched many of their older relatives go through the same thing so they assume it is inevitable. But hair loss is far from set in stone. There are a number of things you can do to limit the amount of hair that you lose. And the best part is that none of them will break the bank or your budget. Protein is an essential building block of hair. If you’re not consuming enough protein, your body doesn’t have the materials necessary to grow new hairs. Protein deficiency is not a huge problem in the United States. The richest sources of protein–chicken, fish, and other meats, cheese and other dairy products, and eggs–are commonly consumed. However, protein deficiency is more prevalent among vegans and vegetarians since they often don’t eat the aforementioned foods. If you are vegan or vegetarian be sure to eat plenty of soy protein, the only source of plant-based complete proteins. Back in the day, people ate more bone broths and other foods that contained gelatin. Now, many people aren’t getting enough gelatin in their diet. The good news is that you don’t have to make bone broths every day to make it happen. You can buy gelatin in convenient powdered form. Gelatin is chock-full of amino acids that are excellent for hair growth as well as for your skin and nails. As a bonus, it helps you keep your weight under control as well as boosting your immune system. Thus, gelatin helps to keep you stylish at work in more ways than one. Along with getting enough protein, there are various vitamins that help promote healthy hair growth. Vitamin D – Incredibly, the body can synthesize Vitamin D by being exposed to sunlight. It doesn’t take much, just soaking up some rays for 15 minutes a day can help your hair. Alternatively, you can eat mushrooms, eggs, and milk to boost Vitamin D.
Iron – Many women with anemia also suffer from hair loss. Kill two birds with one stone by loading up on iron in spinach, red meat, black beans, and eggs. Vitamin C – Free radicals can damage your hair and cause it to become brittle and break easily. The best way to combat free radicals is with healthy helpings of anti-oxidants. Vitamin C is known for being chock-full of these healthy powerhouses. Vitamin A – Your mom always told you to eat your carrots for good eye health, but did you know they can also help your hair? Vitamin A keeps your scalp moisturized and the hair follicles functioning well. Load up on carrots, mangoes, eggs, spinach and kidney beans for lots of Vitamin A.
Vitamin B5 – This worker bee helps to rebuild the damaged hair shafts. If your hair loss is happening because of over-styling or otherwise damaging your hair, then load up on some Vitamin B5. You can find it in eggs, avocados, nuts, legumes, chicken, and beef. You can get most of these vitamins in a well-balanced diet if you just take some time to plan your meals for optimal health. You may have noticed that eggs showed up in nearly every category in the vitamin section. Eggs are most assuredly a powerhouse when it comes to promoting healthy hair growth. But you can do more than just eat them. Using an egg mask on your hair is a well-known beauty treatment that people have been using worldwide for years. It’s also super easy to do so you can whip it up once a week for maximum results. Simply mix an egg white with a teaspoon of olive oil and honey. It will turn into a paste that you can massage throughout your hair. Let it sit for about 20 minutes before rinsing it off. Bonus tip: egg masks also do wonders for the skin. While you’re at it, apply a bit of the mask to your face to enjoy its benefits there as well. Onion juice? Yes. Onion juice. The sulfur in onions boosts the production of collagen and helps your hair to re-grow. It is also a rather easy remedy to whip up. Simply mash a few onion slices to extract the juice and rub it on your scalp. There may be a few tears and it might be rough to wait the 10-15 minutes, but we promise the smell goes away as soon as you rinse your hair. You might want to use a bit of shampoo with this one, though. For a more pleasant smelling hair rinse, try gathering up some leftover green tea bags. The anti-oxidants in green tea help fight free-radicals, thus promoting hair growth and limiting its loss. Make a warm rinse for your hair and let it sit for an hour before rinsing with water. Will you be lounging at home for a lazy Sunday? That’s the perfect time to try this excellent home remedy for hair growth. Harvest a bit of coconut milk–the real deal from the coconut, not some from a can. Add a bit of lemon and 4 drops of lavender essential oil. Massage it into your scalp and let it sit for 4-5 hours, just the right amount of time for a Netflix binge. The iron, essential fats, and potassium found in the milk is highly effective in promoting healthy hair growth. Fenugreek may not be the most popular kitchen spice. But if you are a lover of Indian or Turkish food, chance are you have a little stash. The proteins and nicotinic acids that it contains are rock stars at promoting hair growth. You don’t need much to get the benefits. Grind up a tablespoon of this herb with a bit of water to make a paste. Then add a touch of coconut oil (or better yet, coconut milk) and apply it to your scalp and hair for 1/2 hour. If your hair loss is being caused by a hormonal imbalance, this may be a good method for you. This type of hair loss is particularly common after pregnancy when hormones are doing all sorts of crazy things. While some issues may require the intervention of a medical specialist there are also natural ways you can balance your hormones. For starters, try cutting as much sugar out of your diet as possible and eat some healthy fats. Getting plenty of sleep and exercise will also help (although these can be a little difficult after childbirth). As you can see, you have a number of options when it comes to trying to grow healthy hair. Don’t limit yourself to just one. Experiment with a few of these ideas to find out what works best for you. The biggest thing is to not accept your hair loss lying down. There are plenty of tools you can use to combat this problem and there’s no reason not to take advantage of them. Once you have full, lush locks again you might be looking for more tips to look your best. Check out this post on how to look like a star.